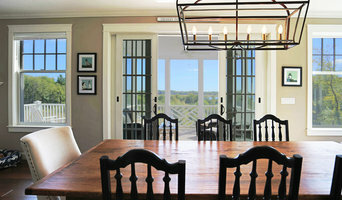 Lindsey Architects is an award winning architectural firm located in coastal Maine. We specialize in custom residential and small commercial design in the following states: Massachusetts, New Hampshire, and our home state of Maine. Our goal is to ensure that each and every design is tailored to the specific needs of our clients, creating custom buildings that inspire those within them. With a comprehensive list of services, including interior design, presentation drawings, and rendering, among others, we can create an all-inclusive approach to your project. At Lindsey Architects, we understand that communication is key when creating a design that our clients love. For this reason, we work in a highly interactive process which involves clear communication and collaboration between our professionals and our clients. With regular meetings to discuss progress and design ideas, our clients are able to contribute to the creation of a design that fully reflects their lifestyles. 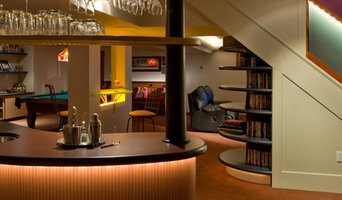 To learn more about Lindsey Architects please visit our website: www.lindseyarchitects.com. If you are ready to get started on a new architectural project, please do not hesitate to send us a message or call us to discuss the potential that a partnership with Lindsey Architects holds. Schatelier is founded on the principle that every job matters. We draw inspiration from our respect and appreciation of the natural world. Our designs spring from a deep understanding of your needs, a poetic composition emerges and in the end, the experience of being in your renovated or new home will enhance your life. We practice guided preliminary design and budgeting to help you arrive at a vision for your project that aligns with your means. We are very agile and responsive, drawing from over 20 years of experience for many project types. Our design approach begins with a thorough understanding of each client, site, set of parameters and budget, we call this 'integrated design'. Our design solutions reflect a deep understanding of how you will use and experience your new home or space, We call this 'designing from the inside out' or 'experimental design'.. We refresh our connection to the natural world on the west of Ireland, where the mountains meet the sea, sailing on the open ocean. Randall Design offers affordable architectural design for your residential design needs. We specialize in new homes or additions and renovations to your existing homes. Pearson Traditional Design is a Maine Residential Design firm specializing in traditional coastal homes, lake cottages, and mountain retreats. New homes, renovations, and additions are intuitively designed to compliment your lifestyle and provide thoughtful, creative, and personal solutions for each project. At Pearson Traditional Design our goal is to successfully balance cost, function, and the aesthetics of the design. Selecting materials that create beauty, can stand up to the elements, and are easy to maintain overtime are all-important in designing a great home or business. At Pearson Traditional Design we believe the greatest architectural designs stand a test of time that is measured across generations, and spans the lifetime of a community. We truly believe that the beauty and proportions found in Traditional Designs and style elements long outlive passing trends. We are: Traditional Design for Lasting Impressions. WINTER HOLBEN is a multidisciplinary studio built around the concept of seamlessly integrating architecture, design, and branding. We are architects, thinkers, makers, designers, and curators, dedicated to creating innovative and engaging design experiences for our clients, their visitors, patrons, and employees alike. We believe in big ideas and a small team approach, and in close collaborative work with our clients. The cross-pollination of ideas around the studio excites us, and the world outside our walls inspires us. Together, we tap into more than 60 years of collective experience, technical knowledge, and strategic thinking around the built environment. 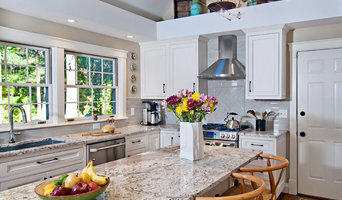 Bauman Design Associates designs residential renovations including whole house renovations, additions, kitchens, baths, master suites, decks & garden structures. McHenry Architecture is a dedicated group of professionals who seek to reflect and enhance the highest architectural values that characterize our region. These values are expressed by projects that surpass the expectations of our clients and creatively respond to the context and environment of each site. Our approach embraces “green” design by creating environmental, economic, health, and community benefits through the consideration of sustainable site development, water savings, energy efficiency, materials selection, and indoor environmental quality. We work to maintain the principles of sustainable design throughout the design process and beyond. For over three decades, TMS Architects has been designing projects in New Hampshire, throughout New England and beyond. Our mission is to embrace our clients’ visions and translate them into buildings that are beautiful, functional and sensitive to their environment. We work to create buildings that are infused with spirit and beauty, reflective of their heritage, sustainably built, and engineered with excellence. TMS has developed a significant and diverse portfolio over the past decades with work in custom residential, finance, hospitality and corporate/commercial fields. Historic preservation is an important part of TMS’s work and the firm has been active in many prominent restorations including The Wentworth By The Sea Hotel, The Music Hall and Salem Country Club. We firmly believe that restorations and renovations of historically significant buildings and private homes help preserve the character and heritage of New England architecture. 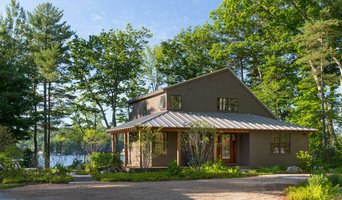 Full service architecture firm specializing in "simple and sustainable" contemporary homes rooted in the local culture of Maine. For clients who love design, Maine, and the earth. AdaptDESIGN is all about design for sustainable living. To us sustainable living is not about fad and fashion as much as about long term planning and commitment to an ongoing architectural experience. We incorporate all components - site orientation, human relationships and connections, materials choices that show and grow, and lighting arrays that define your built form. AdaptDESIGN seeks out and embraces the new while refreshing past lessons. Collaborating with your ideas, welcoming everyone involved, and shaping all variables into creative solutions. We believe the best designs arise from looking at issues from all perspectives. Thoughtful and creative design is the foundation of our practice. Each design is tailored to uniquely fit the site and client. We think beyond the structure as an object, to the layers of movement, use, and environment. We see the design as a dynamic experience, as a unified creation of place. TMS Architects has been designing projects throughout New England and beyond. Our mission is to embrace our clients’ visions and translate them into buildings that are beautiful, functional and sensitive to their environment. Full services architectural firm providing design and construction administration of all types of projects - from residential to commercial to educational/civic and more. Specializing in new construction, renovations, additions, master planning and programming. More than three decades of experience with integrated sustainable design and focus on natural light and highly resolved details. Dwight M. Herdrich, AIA Architect+Design is a multi-disciplinary design firm with over 25 years experience in Architecture, Site Planning, Interior Design, Graphic & Website Design, Kitchen Cabinetry and Furniture Design. Projects completed over the years include everything from small home additions, to 100,000 square foot Worship Centers, and many varieties in between.